An intense round of Claustrophobia play testing is underway and bearing fruit. Today we’ve got new combat rules for you. Instead of team based combat, the new rules let individuals shine and make sphere choices much more intuitive. The Sphere you use in combat is determined by what you’re trying to do. You should have a good reason for using the sphere, and the DM always has the final say. Physical: you’re trying to wrestle, punch or otherwise physically harm your opponent. Use this when fists are flying and your goal is to capture, wound, knock-out or kill your enemy. Mental: you’re trying to confuse, outwit or mentally outmaneuver your opponent. Use this sphere if you’re engaged in a hacking war, trying to beat your opponent at a puzzle or strategy game, or racing a rival scientist to a breakthrough. Social: you’re trying to negotiate, intimidate or in some way rise socially above your opponent. Choose a sphere secretly with your sphere cards. This does not need to be the same sphere as the sphere you are using for your attack. Every PC and NPC then reveals their sphere card. Physical: you are using muscle to gain the advantage, such as sprinting to a vantage point, throwing sand to distract your enemy or charging them. Mental: you are using cunning to gain the upper hand, luring them into a trap, surrounding them in a clever cross-fire or using some other ruse. Social: you are using social manoeuvring, diplomacy or intimidation to gain the upper hand in the coming fight. Each character rolls and puts aside any successes. Total the value on these successes to determine the order of advantage (highest advantage goes first). If you get no successes, you go in the total die score order after characters with successes. Ties should dice off separately. Any 1’s rolled to determine advantage don’t count as losses. Example: Two gnomes are fighting a flamingo. Gnome one rolls a 5 and 3 and gnome 2 rolls a 5 and 2. Their total is both 5. In this case gnome 1 goes first. If the flamingo rolled two dice, with a 4 and a 4 (2 successes), it would go first. Choose a target for your attack. You may roll as many dice as you have listed in that sphere, or less, but you must roll 1 die. Your opponent must use the same sphere and rolls defence in the same way. Roll and compare. You score 1 hit and 1 wound for every success you score over what your enemy scored. Any ties go to the defender. Any ones rolled which are left unmodified are wounds taken by the target of the attack. The winner describes how their attack succeeds. Distribute the removal of dice randomly between the losers stats, either by rolling dice or by using the sphere cards. If the defender gets more successes, they score no hits on the attacker. Combat then moves to the character with the next highest advantage. Join the Claustrophobia Facebook Page to stay in the loop with all things gnome. I think you’ll agree, this is epic! With Don’s art and the fiction I’m writing for the book, this looks set to be a proper role-playing game that we can all be proud of. And that means you too, I’d love you to join the effort; download the game, play it and give me feedback (details in the book), or buy a print from Redbubble and show us your support. All play testers will be credited in the book, which is a great opportunity for you to build some rep in the RPG industry. Also, any money we make now gets pumped right back into the game, so when you buy something you really are helping us make the game more awesome! 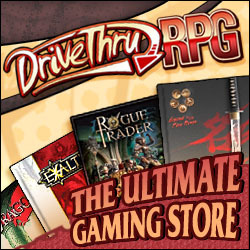 And to celebrate, get the game now for only $0.75 from Drive Thru RPG. Clarifications of many of the rules and standardization of terms throughout the book. Improved layout of the monster entries to improve readability. Added details about the Claustrophobia! Art Project. Inclusion of a basic Glossary of Terms. Be sure to download the latest version of the rules now. The Art Project on RedBubble is a showcase of the final book art for the game. Here I’ll be posting works from time to time, giving you the chance to wet your appetite and tell us what you think about the art. By buying stickers and t-shirts you help us fund more artworks and improve the final edition of the game. Later this month and in early August I’m off on holiday, so I’m not planning any updates until late August. This time will be a chance for me to unwind, regroup and come back stronger than before. If you’re off on holiday I hope you have a great time and safe travels too.